You are here: Home / Features / Fifth Street Foodie: A Wild West of Flavor! 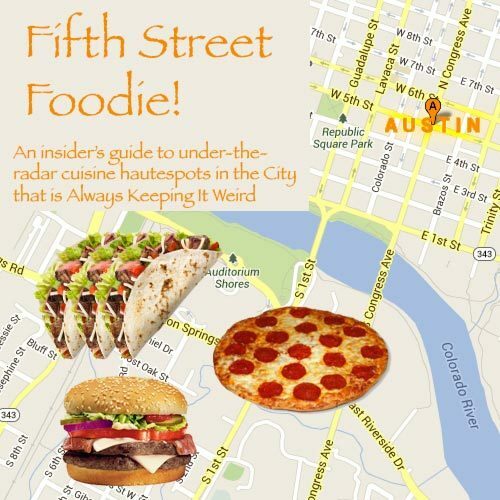 Note: This is the first entry in our Fifth Street Foodie series, a dining guide for true Austinites and by true Austinites! We hope this feature can help everyone from out-of-town “newbies” to seasoned (dry-rubbed?) veterans in their quest to find the best little dining nooks Austin has to offer. Welcome Austinites, and welcome non-Austinites (as long as you don’t move here)! This is the first edition of Fifth Street Foodie, where the Fifth Street Foodie himself (that’s me!) takes you on a tour of his favorite out-of-the-way dining spots in the Austin, Texas area. Austin has grown up a lot since I first moved here…um…an unspecified amount of time ago (let’s just say I had a mullet, flannel, and the whole “Nineties” vibe going! ), and in that time we’ve become famous for our many local quirks. From Stevie Ray Vaughan (R.I.P. S.R.V.) to SXSW, Austin is known as a hotspot for spirited types that are willing to try something, well, a little “left-of-center”! Luckily, this adventurous sensibility also extends to our food scene, which is basically a Wild West of flavor. In this feature, my hope is to cover places that other publications might ignore, little secluded eateries tucked away where only true Austinites would know to look. You won’t find, for instance, Franklin Barbecue, or the Driskill Grill, or Home Slice Pizza in this column. 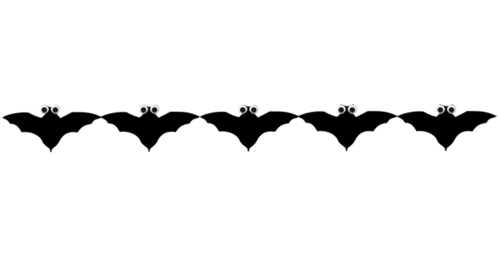 This is more of an “insider’s guide”…but outsiders can read it, too, if they’re really curious. I apologize in advance, though, if I come off as a little snobby. It’s just that I love the food scene here, and I want to share it with you all, or, as we say it down here, “y’all”! Okay, that’s enough yapping. Time to get to this week’s selection! 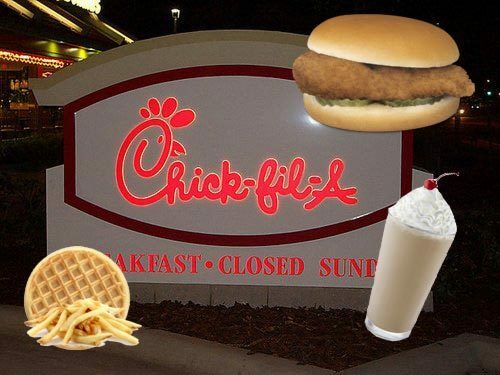 I can’t seem to find any mention of Chick-Fil-A in the usual “underground” Austin foodie blogs right now, which is strange because it’s been an Austin institution ever since I can remember. Don’t let the drive-thru fool you—this is one heck of a winner and a chicken dinner! A little joint several miles south of town, Chick-Fil-A specializes in—you guessed it—fried chicken-based meals ranging from sandwiches to salads and nuggets. Basically, if you can think of a shape, they have a lump of chicken in that shape! And boy is it sure to be delicious. My personal favorite is the spicy chicken sandwich (not for the faint of heart!) with waffle fries and the limited-time-only mocha cookies ‘n’ cream milkshake. The sandwich combines three simple ingredients—chicken hunk, pickle chips, and steamed bread—with just the right amount of saltiness and juiciness to hit the spot every time. This is chicken southern-style, a recipe likely inherited from the matriarch of the owner’s family. The waffle fries are just like they sound, waffle-shaped and covered in a glistening film that is probably a cooking oil of some kind. These fries are great to munch on before or during the main course, depending on whether you can restrain yourself. And of course I can’t forget the mocha (how do you pronounce that word again?) cookies ‘n’ cream milkshake. I can’t tell exactly what flavor the ice cream part is—something brown like chocolate or mulch—but the cookie bits are to die for. Definitely an inspired and unique combo for the ice cream-heads in town. One thing I really appreciate about Chick-Fil-A is that is it’s a family-friendly institution. The employees always say “please” and “thank you” and wish me a nice day, and the music selection is top-notch (Switchfoot, Jars of Clay, etc.). Chick-Fil-A is also pretty friendly to your wallet, with a typical meal cost of under ten dollars. If you’re ever in Austin, Texas, be sure to check out this marvelous local establishment, which is surely worthy of a prestigious five bat rating! Well, that does it for this week. Fellow Austinites: do you have a favorite tucked-away establishment that you’d love to give more press? Let us know in the comments!